In his Shamus Award winning first novel, The Innocents, Richard Barre introduced audiences to Wil Hardesty, “a person trying hard to survive a few of life’s dirtier tricks” (Cleveland Plain Dealer). He’s a private eye with a deep, dark past–and an uncertain future. 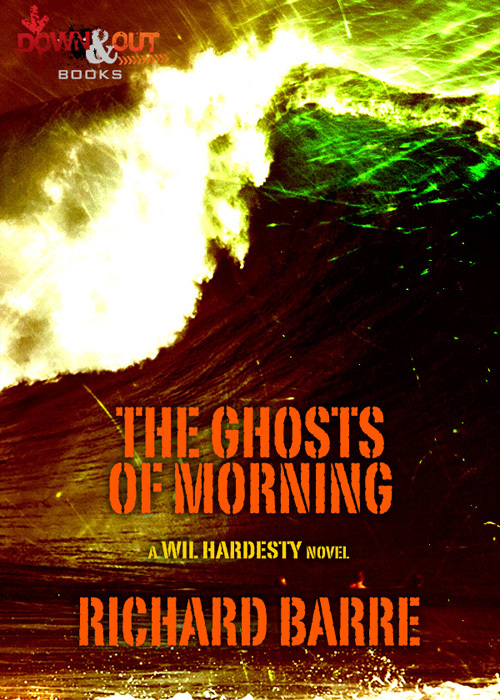 In The Ghosts of Morning, Barre plunges even further into Wil’s history, to a far-off place where murder and friendship collide. Denny Van Zant was Wil Hardesty’s best friend. Together they surfed, drank and brawled their youth away. Then came the day Denny was accused of murder. Some said he did it. Some said he didn’t. He was never quite charged. Then came Vietnam, and years later Wil saw what had been identified as his best friend buried at a military funeral. Now, decades later, Wil receives a phone call from Denny’s mother, a voice from yesterday that brings painful memories flooding back. She thinks Denny is still alive. Her evidence is sketchy, but it is a place to start. And once started, Wil won’t be able to stop until he’s sure Denny is alive. Or both of them are dead.